The first Brooklyn Chinatown (simplified Chinese: 布鲁克林华埠; traditional Chinese: 布魯克林華埠; pinyin: bùlǔkèlín huábù), was originally established in the Sunset Park area of the New York City borough of Brooklyn. 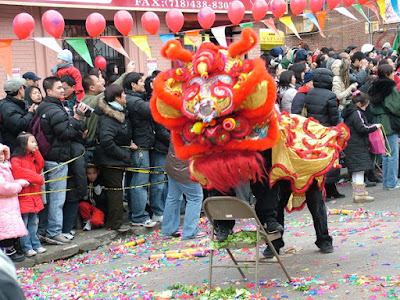 It is one of the largest and fastest growing ethnic Chinese enclaves outside of Asia, as well as within New York City itself. As this Chinatown is rapidly evolving into an enclave predominantly of immigrants from Fujian Province in China, it is now increasingly common to refer to it as the Little Fuzhou (小福州) or Fuzhou Town (福州埠) of the Western Hemisphere. The sidewalks are crowded as people check out authentic Chinese, Thai, Malaysian and Vietnamese restaurants and specialyt shops.